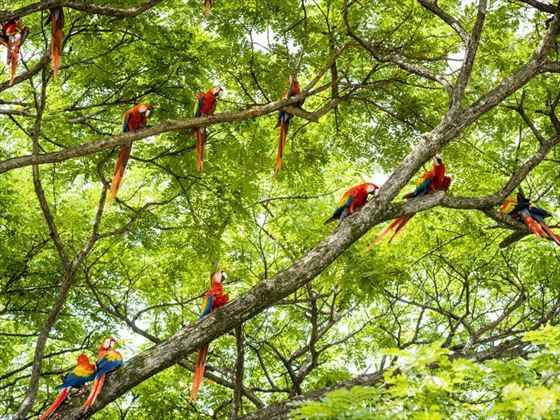 A hidden oasis which stands apart from its Central American neighbours, Costa Rica one of the world’s most biodiverse and scenic countries. 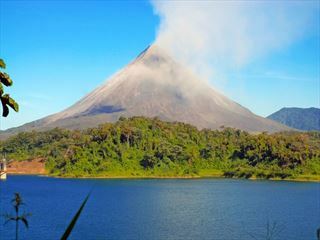 This 10-night independent tour starts and ends in San Jose, the nation’s capital, and explores the utterly outstanding landscapes of luscious rainforests, serene beaches, extensive wildlife and incredible national parks. We think this tour is a fantastic choice for those wishing to experience a glimpse of the countries amazingly diverse landscapes, from breath-taking cloud forests and rich, flourishing rainforest which overflows with unforgettable wildlife, to gorgeous white-sand beach coves which overlook an endless horizon of azure ocean, vibrant coral reefs teeming with tropical marine life and colourful coral, and amazing national parks dotted with stunning waterfalls, hot springs and lakes. Costa Rica is famous for its farm-to-table restaurants and sustainable tourism, so each of your accommodations will evolve around an eco-luxury experience, and you’ll delight in the most flavourful, fresh and utterly spectacular cuisine during your time here (HOR). Cross the breath-taking Braulio Carillo National Park, passing astonishing cloud forests and low-land tropical rainforest. Witness the nesting grounds of the Hawksbill, Leatherback and Loggerhead Turtle’s – an unforgettable experience. Upon arrival in San Jose, you’ll meet with a representative for your transfer to the hotel for check-in, a modern urban retreat situated in the heart of the downtown. The rest of the day is at leisure to enjoy the wonderful sights of this bustling metropolis. Today starts with a beautiful journey to Puerto Viejo. After breakfast, you’ll head on to Highway 32 which crosses the wonderful Braulio Carillo National Park, oscillating from breath-taking cloud forests in the high altitude to low-land tropical rainforests. Moving further on, you’ll start to spot an abundance of lush tropical foliage as the Caribbean gets closer. Pass bustling towns like the port city of Limon, and then you’ll be faced with unforgettable views of the ocean as you reach the serene town of Puerto Viejo. 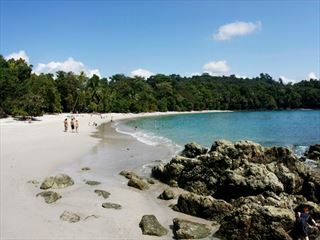 Cahuita National Park is home to the largest system of Coral Reefs in Costa Rica, featuring six species of colourful coral, a fantastic diversity of tropical fish and the occasional encounter with a harmless reef shark or majestic sting ray. 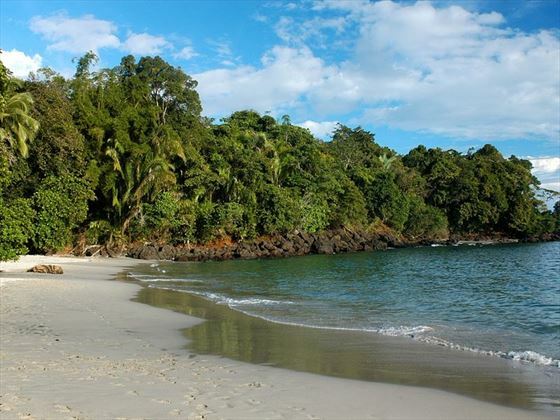 There’s a gorgeous beach cove which has an entrance to the park on one end and the beautiful Punta Cahuita on the other. You’ll enjoy a 20-minute boat trip which includes two snorkelling sessions, before being dropped off at the Punta to tuck into a lovely fruit and snack selection followed by a 1.5 hour hike in the coastal forest; you may spot sightings of monkeys, sloths, birds and iguanas during your exploration. 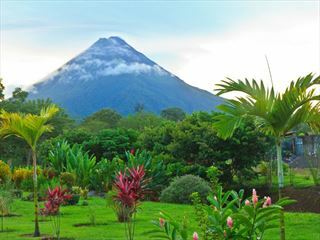 Today will be spent at the Laguna Lodge, an eco-tourist hotel located in Tortugerno, set in northern Costa Rica. With expansive rivers, lakes and wetlands on one side and the Caribbean Sea on the other, this is a significant nesting site for the green sea turtle (season starts mid-July – October). This retreat is set on a strip of land which spans over two-hundred feet which overflows with exotic trees and flora with lots of beautiful birds and butterflies. There’s lots to enjoy here, including naturalist guides, tours, a quaint nearby village and Tortugerno National Park canals. 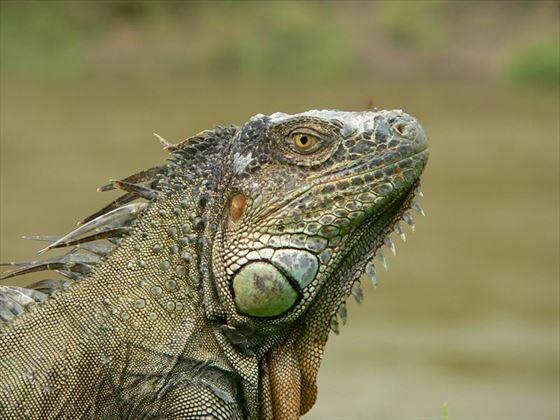 Tortugero National Park is a wilderness area full of incredible biological diversity, including mammals, birds and fish which reside in eleven various habitats. A 22-mile beach is a favoured nesting ground for the Hawksbill, Leatherback and Loggerhead Turtles – a breath-taking sight. Most of the parks exploration is made by boat, and your guide will fascinate you in hidden sightings of mischievous monkeys and engaging facts about the nature surrounding you. 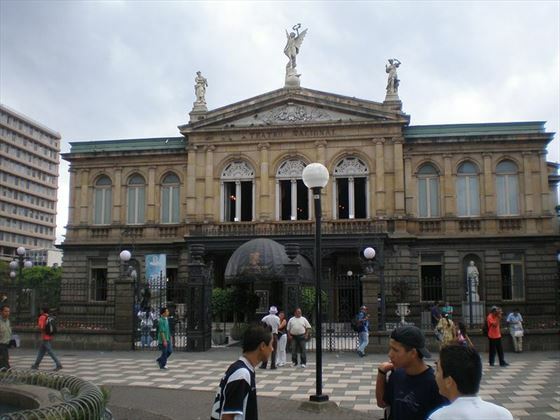 Today is at leisure in San Jose; there are lots of hidden gems to be found in the capital - we recommend exploring the historic neighbourhoods such as Barrio Amon, where grand colonial mansions have been transformed into contemporary art galleries, or the city’s wonderful gastronomic centre to delight in some delicious cuisine. 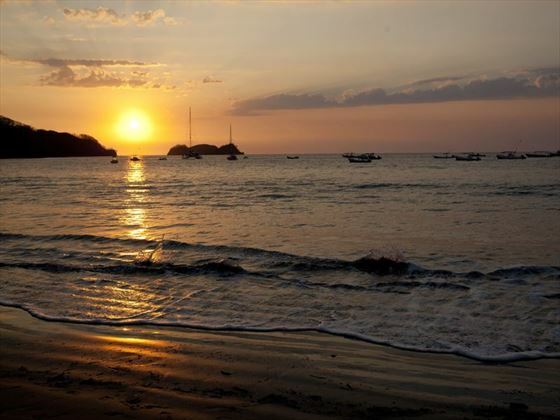 Guanacaste is one of Costa Rica’s most extensive and least populated regions. Famous for its luxuriant tropical scenery of luscious Caribbean flora and sublime white-sand beaches, in addition to its large expanse of spectacular savannahs. This is the gateway to the country’s most popular beaches, including Plays Hermosa, Playas del Coco, and Octal. It’s also within close proximity to Rincon de la Vieja National Park, home to stunning hot springs, waterfalls and rivers. You’ll have three sublime days of exploring this awe-inspiring region and indulging in your luxurious hotel before heading back to San Jose. Breakfast is included for all 3 days. Enjoy the sights and scenery of this glorious city for one more day before your adventure draws to an end. There are lots of cafes, restaurants, museums and galleries to see, in addition to serene parks and magnificent monuments to explore. Head to the airport with plenty of time to catch your flight.